Accelerate the Coaching Process with the Power of the Collaborative KI Team. Drawing upon his deep background in change management and organizational systems diagnostics, Andy provides enterprise-wide solutions in areas such as post-merger/acquisition integration, culture change, competency modeling, team effectiveness and executive coaching. He has over 25 years’ experience in Organizational Development with ExxonMobile, BFGoodrich, Key Bank and Pfizer. Internationally, he has significant experience in Western Europe, particularly Belgium. One of the things that distinguishes Andy is his resourcefulness, practicality and focus on sustainable implementation. Having successfully led many complex change efforts while working “on the inside”, he is keenly aware of the importance of scaling and adapting interventions to fit organizational and leader change readiness. He also is experienced dealing with organizational change fatigue and works with his partners to find approaches that ensure efforts can be sustained internally. Andy is passionate about ensuring that any engagement he takes on is aligned with business strategy, organizational systems and leadership capability. He has been trained in Lean/Six Sigma (yellow belt), Appreciative Inquiry, Meyers-Briggs, Strengthsfinder, Career Architect, and Voices 360. 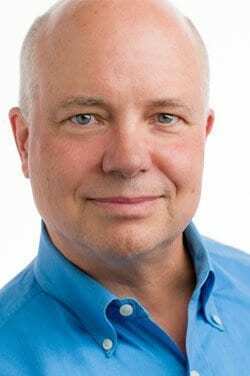 As an executive coach he is certified as a Gestalt Professional Coach and as a Professional Certified Coach by the International Coaching Federation. He holds Bachelor and Master’s degrees from Bowling Green State University in Organizational Communication and Psychology. Andy is an executive committee member of Conscious Capitalism: North East Ohio and a member of the Center for Sustainable Business Practices, Corporate Roundtable. Recent consulting clients include Novartis, Biogen Idec, Milwaukee Tool, American Electric Power and UCB. Andy’s other interests include open water swimming and fly fishing. He is also a shameless foodie and wannabe chef. Andy’s focus is customized team and organizational change consulting as well as executive coaching for growth-minded commercial organizations, government entities and non-profits.